Summer is a peak season for selling homes and relocating. The kids are out of school, college students are making a fresh start, and nobody needs to worry about the combination of moving trucks and icy roads. 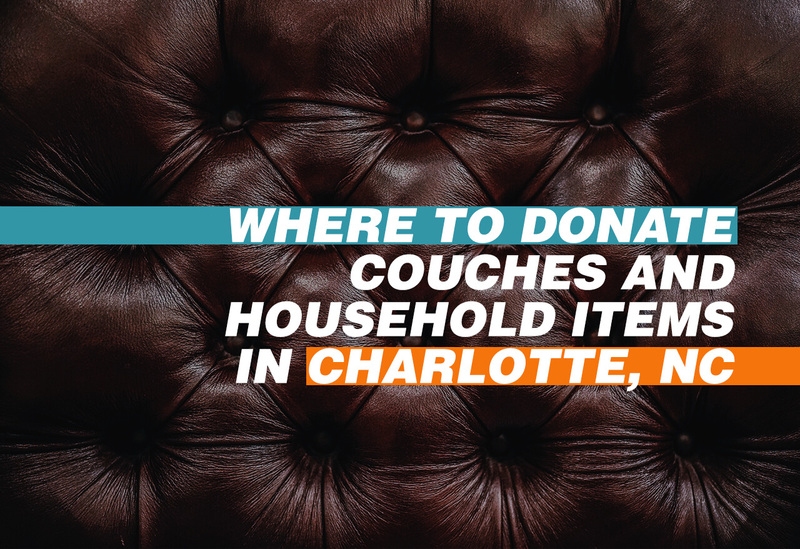 If you’re preparing for a local or long distance move from Charlotte, it’s likely that you’ll declutter your current home before you start packing In Charlotte, you have a lot of options when it comes to donating your used, unwanted goods. Check our list for a retail location or drop-off point near you. Most stores also provide free pickup for furniture and other large items. The Charlotte Thrift Shop was voted best in the city for two years in a row by the readers of “Creative Loafing” magazine. The store accepts and sells a wide variety of household goods, furniture, clothes, and electronics, including old computers. They will even send their truck to your home to pick up pieces too big to fit in your car. The league participates in various charitable projects in some of the city’s most disadvantaged areas with projects like recycling computers for their computer literacy program, fighting hunger, and providing scholarships to deserving students. Goodwill operates over 20 retail stores in Charlotte and the surrounding area, all of which also have donation drop-off centers. They also provide donation centers around the city, as well as a truck for pickups from your home. Goodwill provides hundreds of retail jobs in the area, as well as career training and job placement to help those who need a fresh start. They accept household donations, clothing, and vehicles. One location in Charlotte is an outlet store, while another is computer and technology store. You can search for the location nearest you at their website. The Salvation Army has many retail stores in the Charlotte area, including locations on Central Avenue, Independence Boulevard, and Pineville-Matthews Road that sell and accept donations of clothes, books, appliances, and vehicles. Their services include Boys and Girls Clubs, disaster recovery, and adult rehabilitation, among others. They also work with the community, helping the homeless and the hungry. Habitat for Humanity Restore has four locations in the Charlotte area, including one in Pineville. Adjacent to the retail store on Wendover Road is Julia’s Café and Books, a coffee shop and bookstore whose proceeds go to Habitat. This organization builds and repairs homes for families in need. They accept donates of appliances, building supplies, furniture, window treatments, flooring, lighting, plumbing, electronics, home goods, vehicles, and boats. Call their hotline for pickup from your home. This organization takes donations at their Spratt Street location for use by families in need. They accept gently used clothing, household items, furniture, mattresses, appliances, and cars. Their website lists items they accept, items they need, and items they are unable to use. Call (888) 892-1162 for a list of charities who may able to use items the furniture bank cannot accept.